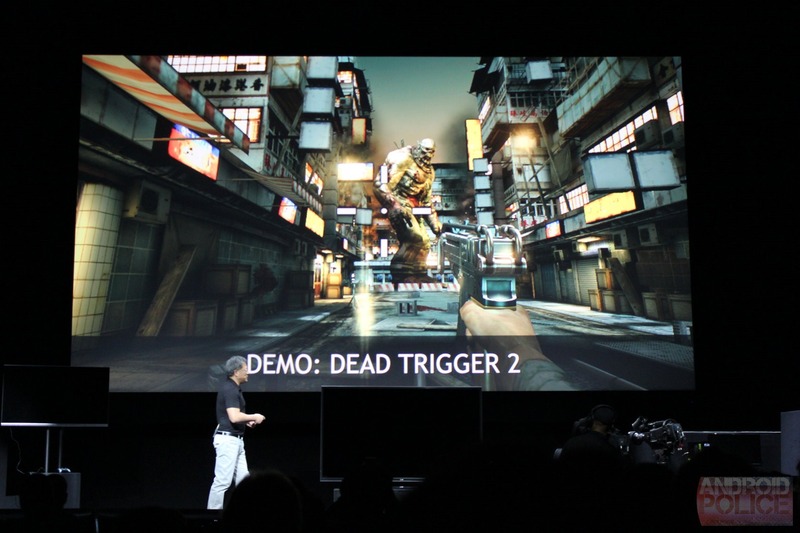 NVIDIA slipped a surprise into their CES press conference this evening: a short and sweet look at Dead Trigger 2. 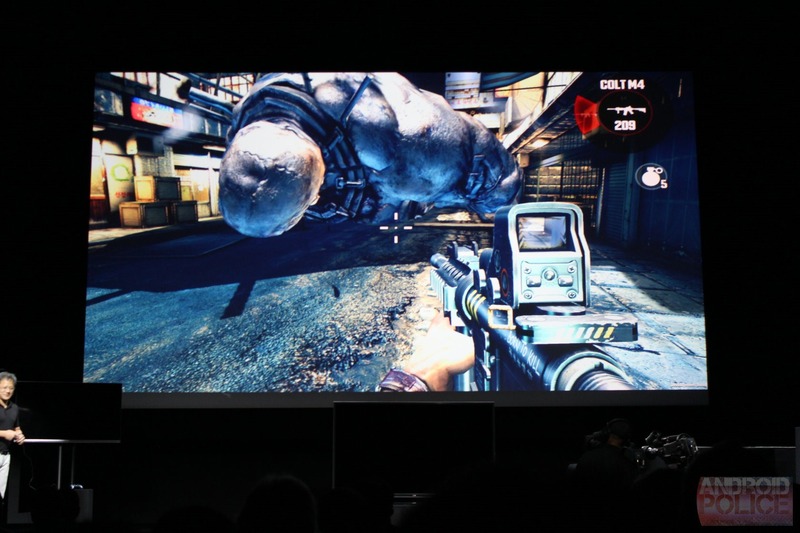 As the only technical demo for the screaming Tegra 4 platform, it looked mighty impressive - based on the streaming video, the graphics look just a little behind the Xbox 360/Playstation 3 level. 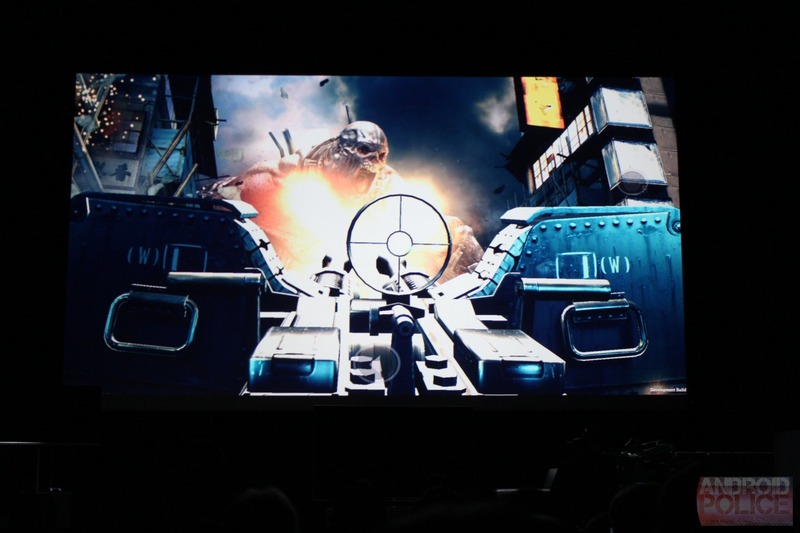 The short demo video showed live game video of the player wielding an M4 machine gun to dispatch an enormous building-sized zombie. Unfortunately, Madfinger wasn't on hand to elaborate, so anything beyond the brief look here is speculation. 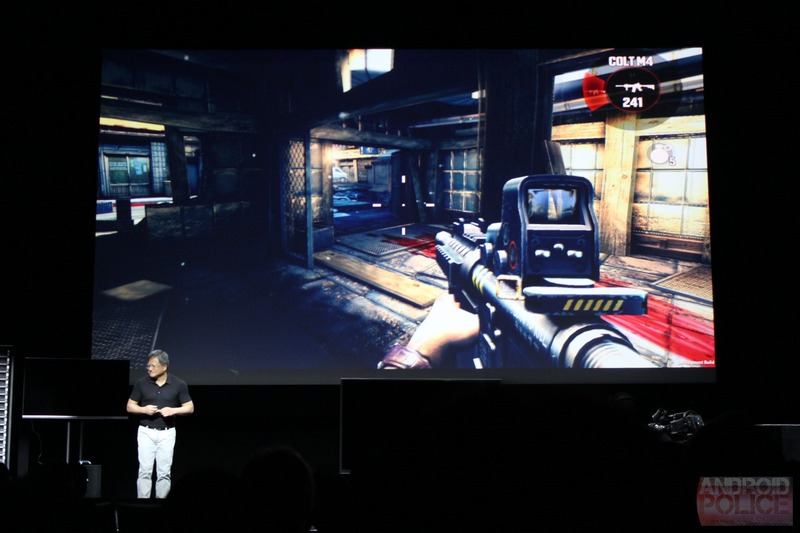 Based on the success of the original zombie shooter, they'll probably be using the same free-to-play model as before. Expect to hear more about Dead Trigger 2 at E3 at the very latest. 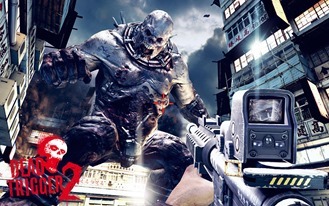 Update: Dead Trigger 2 will be released in the second quarter for Android and iOS. The full press release is below. Las Vegas, USA – January 7, 2013 – MADFINGER Games, creators of the blockbuster third-person shooterSHADOWGUN and the first-person arcade shooter DEADTRIGGER, yesterday announced the new game DEADTRIGGER 2 at NVIDIA’s CES 2013 press conference. During the press conference, MADFINGER Games debuted DEAD TRIGGER 2 with a live demo, exclusively developed for “Project SHIELD,” a gaming portable for open platforms – powered by the world’s fastest mobile processor, the new NVIDIA® Tegra® 4 and developed for gamers to play whenever and wherever they want. The first-person arcade shooter DEAD TRIGGER recently reached 14 million downloads and has been featured in Best of 2012 by App Store, is in Apple's Hall Of Fame, and rewarded for Best Technical Achievement and Community Choice at Unite 2012 Awards by Unity. MADFINGER Games has created an amazing handheld experience, optimized for superb performance with added ragdoll physics, volumetric fog, normal maps, specular lighting and realistic water. Authored with the Unity development platform, DEADTRIGGER 2 once again takes aim at the most graphically intense and most entertaining arcade shooters on the market, combining astonishing environments with intense first-person action. 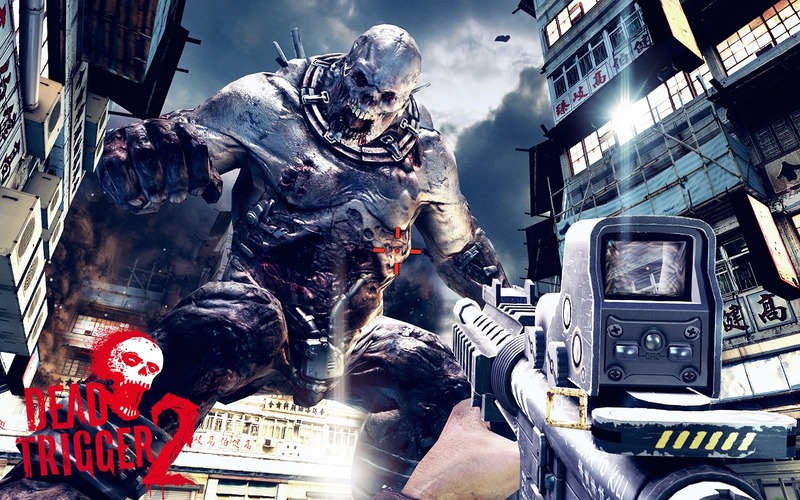 “Compared to DEAD TRIGGER, the sequel DEAD TRIGGER 2is going to be even bigger, better and much more addictive,” said Marek Rabas. 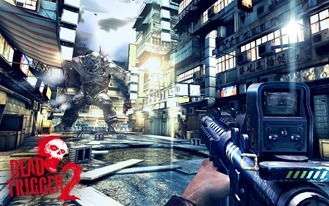 DEAD TRIGGER 2 will be released in the second quarter of 2013 on Android and iOS. It will be available on Google Play, featured in TegraZone™ – NVIDIA’s free app that showcases the best games optimized for the Tegra processor – and also available on the App Store.